Premiering all-new, bi-monthly Pitiful Human-Lizard stories under the Chapterhouse label! 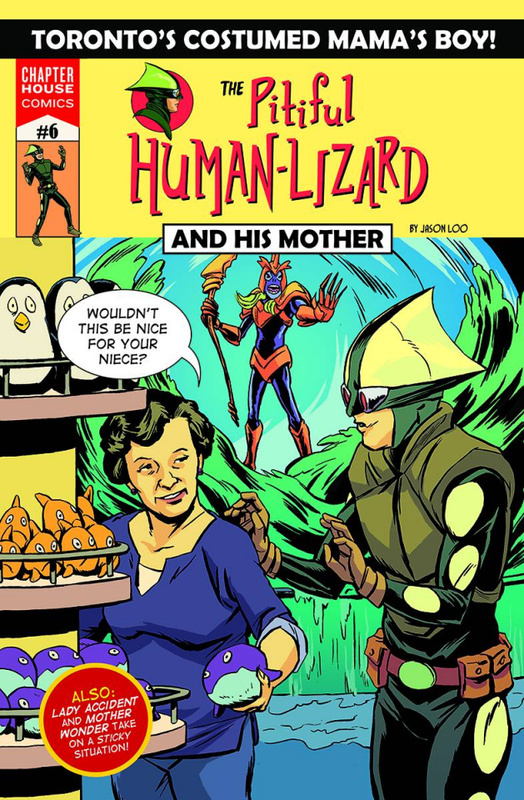 In this thrilling issue, we find out more about the Human-Lizard's parents while Lucas helps his father work his new phone! Next, the Human-Lizard has a new temporary sidekick: his mom! Plus, Lady Accident teams up with Mother Wonder as they take on an extra-terrestrial gum monster at the mall!